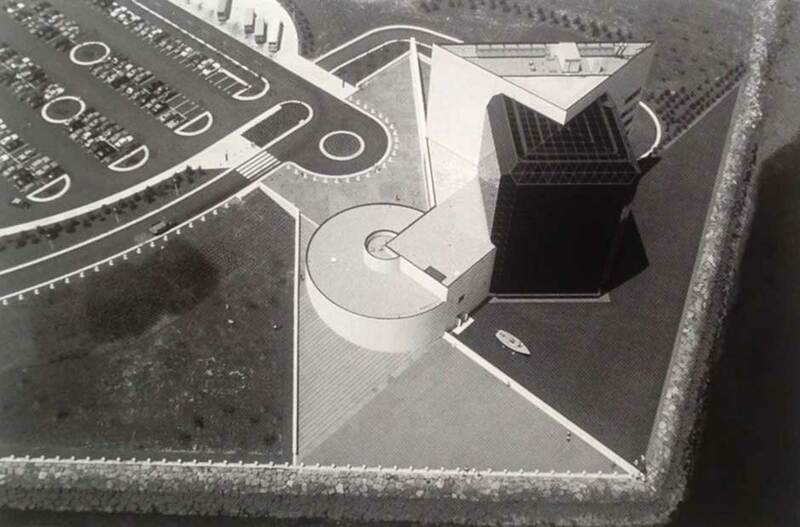 Plans to build the John F. Kennedy Presidential Library and Museum were underway before Kennedy’s assassination in 1963 and accelerated afterward. Architect I.M. Pei of I.M. Pei & Associates was chosen to design the library, a Modernist structure comprised of a glass-and-concrete amalgam of a cube, a pyramid, and acylinder. After a decade of financial and political setbacks, construction was finally begun on the site at Columbia Point, which projects into Dorchester Bay. 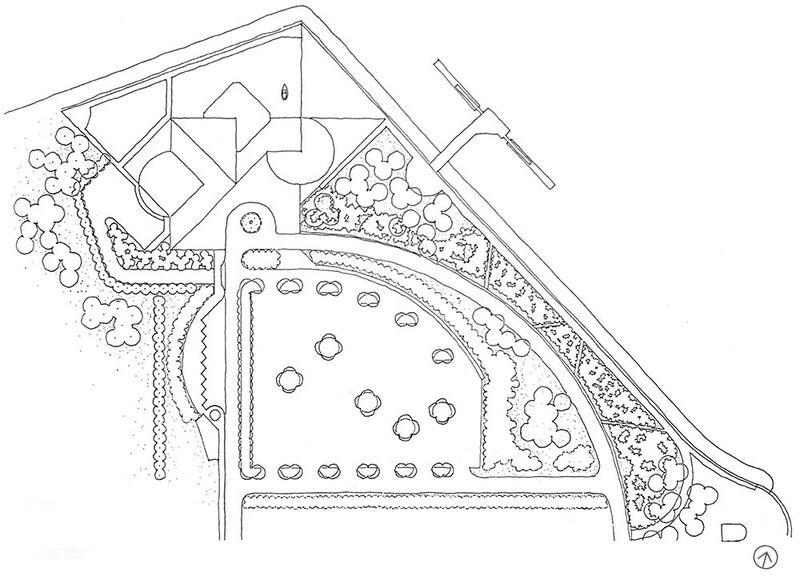 In 1978, Kiley Tyndall Walker was hired to design the ten-acre grounds. To prepare the site, a former landfill, the ground was covered with fifteen feet of topsoil. 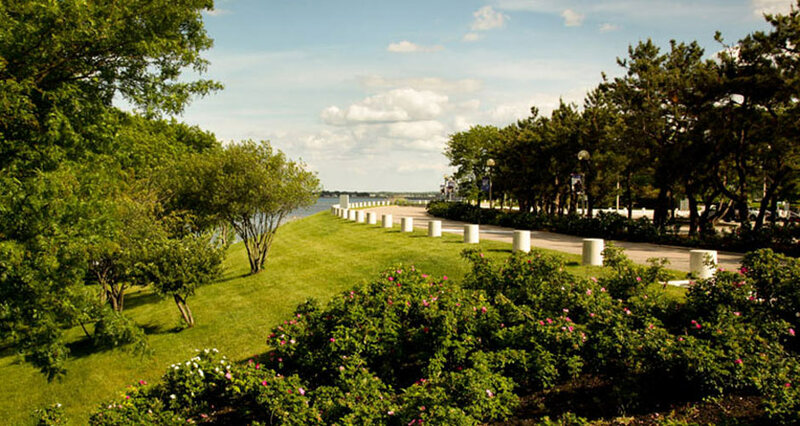 Because the bayside location was exposed to harsh winds, Kiley planted the entire site with hardy, native vegetation. The entry drive winds through swaths of American beach grass, beach plum, and bayberry. The drive’s regular rhythm is established by closely-spaced white bollards along one side and Japanese black pines with more widely spaced Modernist street lighting along the opposite side. The drive culminates in a circle anchored with carefully pruned Sargent crabapples, then connects to a centralized parking area surrounded by rugosa rose groundcover and orthogonal rows of densely-planted Japanese black pines. Kiley collaborated on the project with the Kennedy family, his partners Ian Tyndall and Peter Ker Walker, and philanthropist and horticulturalist Rachael “Bunny” Mellon. 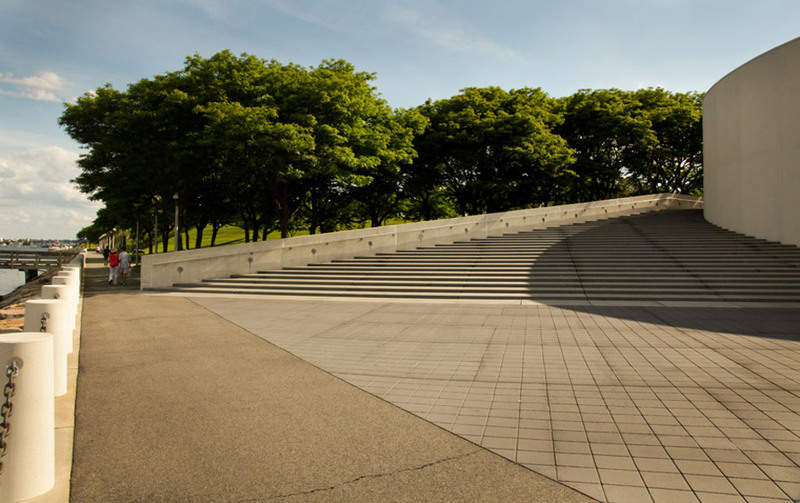 He took a minimalistic approach with the landscape design in order to highlight the dramatic architecture of Pei’s building. He said: “Pei’s beautiful building had to be revealed without screening its setting, without intrusion by irrelevant plantings. It had to be enhanced by the strength and structure of succinct plantings as they related spatially to the building, site and sea.”  In order to accomplish this he focused on the establishment of large massings of plantings that would highlight the structure. 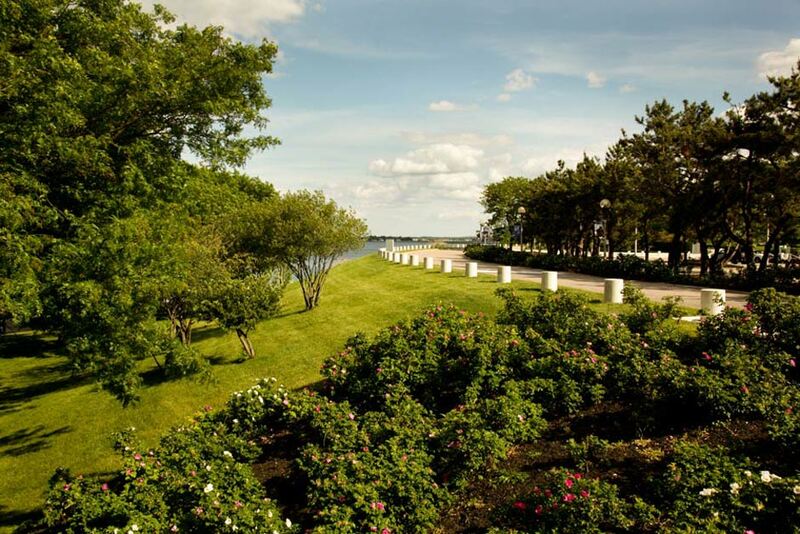 A 1000-foot lawn, informally planted with groves of honey locusts, gradually slopes toward the water’s edge, providing views to the Boston skyline. 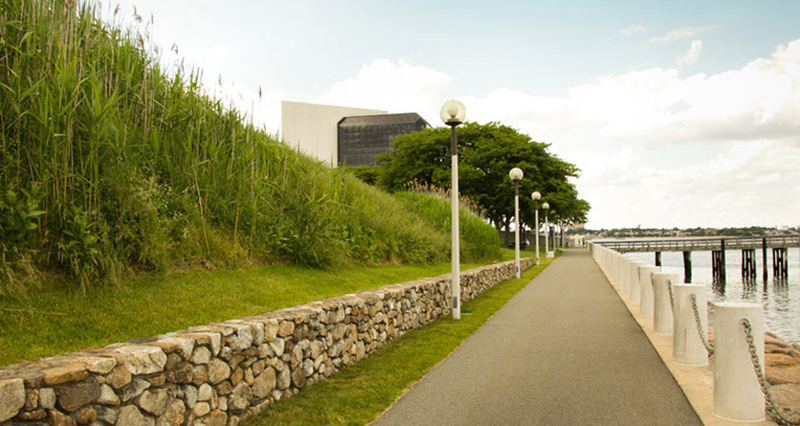 A narrow promenade meets the lawn at thewaterfront and follows the seawall, which is edged with white concrete bollards and a heavy chain that evoke the waterfront's maritime past and Kennedy’s interest in sailing. 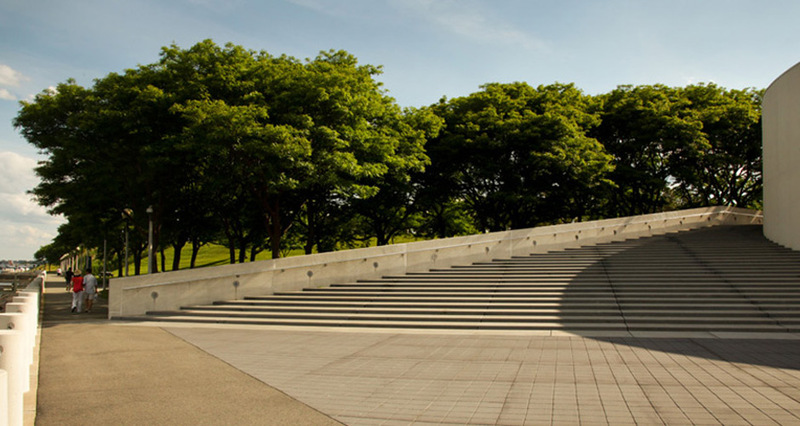 Entry to this walk is gained via a long set of sweeping stairs which wrap around the curve of Pei’s building to an open overlook at the water’s edge. This long concrete walk further connects the landscape to its surrounds providing visitors with open, panoramic views to the sea. 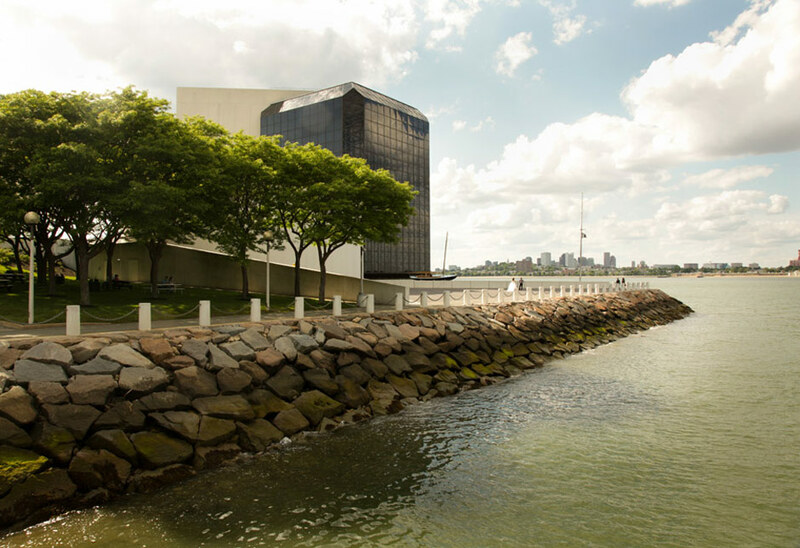 As a Presidential library dedicated in 1979, this landscape has been well maintained and continues to reflect Kiley’s design intent, connecting with the bay and views of the city. There has been one addition to the building and there are plans for another, but both are on the inland side of Pei’s building and have not disturbed Kiley’s subtle bayside landscape. In April of 2000 the Office of Dan Kiley provided the library with a memo describing the overall planting intent and maintenance direction for the project, further evidence that the library honors Kiley’s work in practice if not in words. Unfortunately there is no mention of Kiley, the firm, or the role of the landscape in the detailed project history posted on the library Web site. Additional information on the Web site and exterior interpretive signage about the building and landscape would help educate the public further about the project’s design intent and Kiley’s critical contributions. 1 Kiley, Dan and Jane Amidon, Dan Kiley: The Complete Works of America’s Master Landscape Architect (Boston, New York, London: Little, Brown and Company, 1999), 86. Despite these conditions, the project stands out for several reasons. First, it is a resonant example of Kiley and partners’ ability to collaborate across disciplines and perspectives. Not only does the landscape’s linear sweep and reductive palette set up Pei’s bold, geometric architectural statement, but the site is also allowed to be a canvas for the design instinct of a close client (and library patron), Mrs. Paul “Bunny” Mellon. 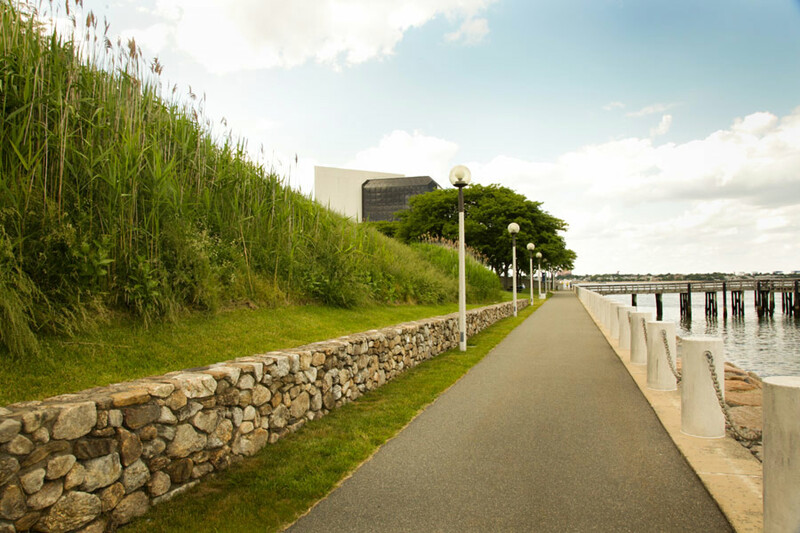 Mellon did much of the plant material selection for the project, including specifying a hardy beach grass “gallery” to stabilize the 1000-long, 3:1 slope along the arrival route, rosa rugosa masses, and black pine to separate lines of site and movement from the large parking area. A circle of clipped Sargent crab apple marks the drop-off area. Informal groves of honeylocust along the water’s edge shade walking and picnicking areas, and frame John F. Kennedy’s favorite sailboat. Throughout, plant materials act as both structure – the designer’s eye – and seaside garden – the patron’s hand. Second, there is a forthrightness, an almost laziness, to the design that is reminiscent of the Chicago Filtration Plant, Dulles Airport and other large-scale projects adjacent to spectacular natural and infrastructural contexts. The landscape is pragmatic and doesn’t attempt to provide experience or individual identity beyond simply delivering the visitor. Formal efficiency and limited spatial expression bring the visitor directly into contact with expansive scales far more than the decorated landscape. The Landscape Architect’s Guide to Boston. 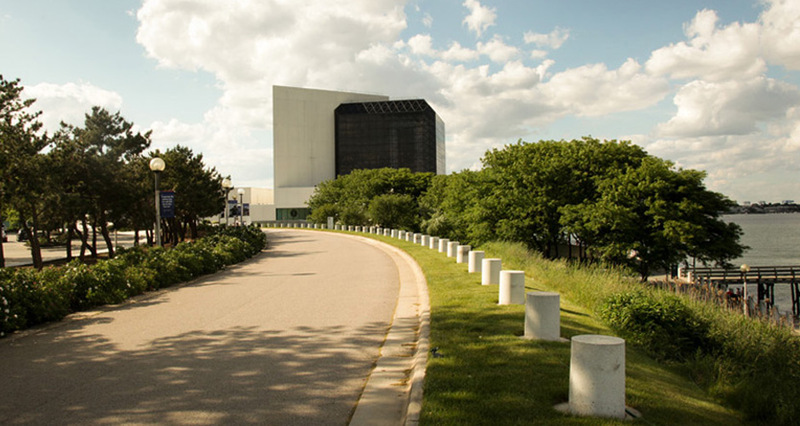 “JFK Presidential Library and Museum,” American Society of Landscape Architects, http://www.asla.org/guide/site.aspx?id=40557. Pei Cobb Freed & Partners. 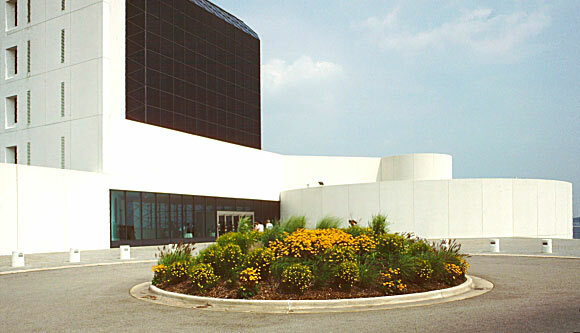 “John F. Kennedy Library,” http://www.pcf-p.com/a/p/7617/s.html. Harborwalk. 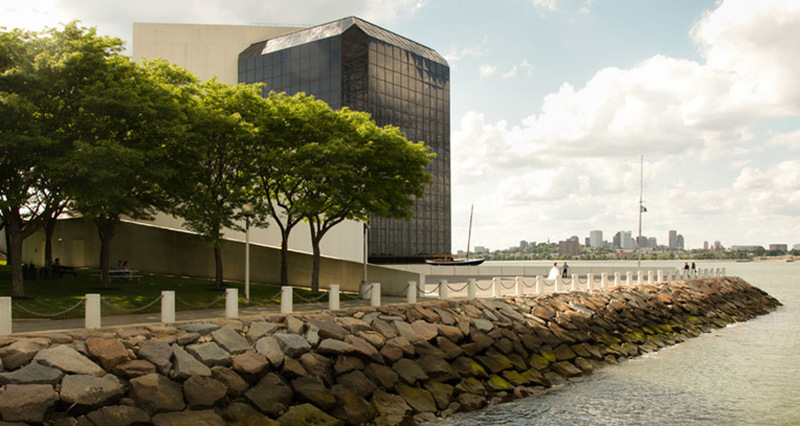 “Dorchester: John F. Kennedy Library and Museum,” http://www.bostonharborwalk.com/placestogo/location.php?nid=2&sid=9. The Cultural Landscape Foundation. 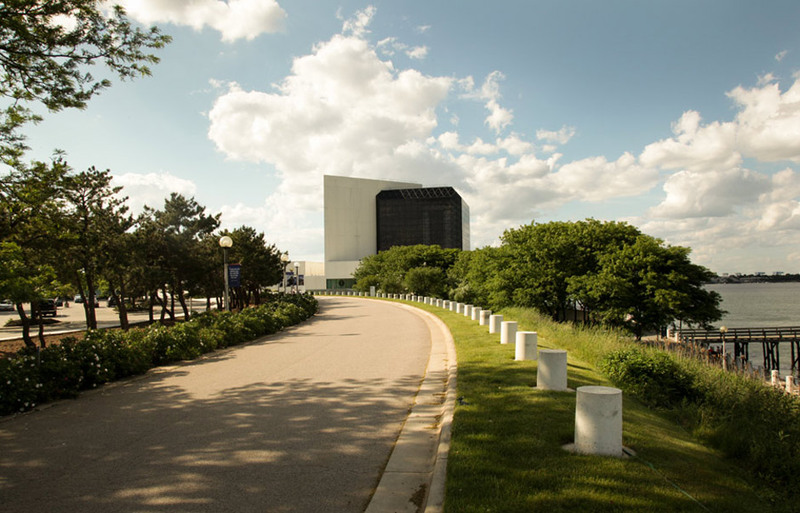 “What’s Out There: John F. Kennedy Library,” http://tclf.org/landscapes/john-f-kennedy-library. Kiley, Dan and Jane Amidon. 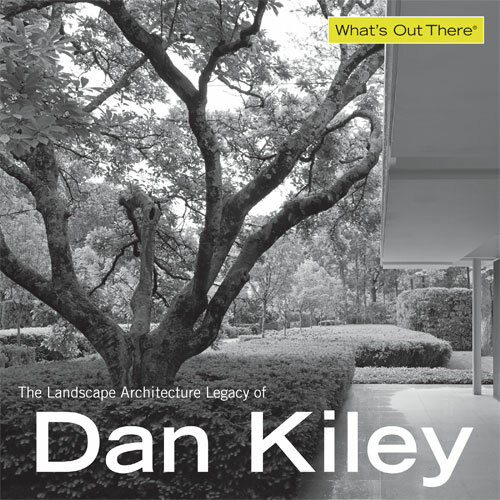 Dan Kiley: The Complete Works of America’s Master Landscape Architect (Boston, New York, London: Little, Brown and Company, 1999), 84-87. “Landscape Design: Works of Dan Kiley.” Process: Architecture 33. (Tokyo: Japan, Process Architecture Publishing Co., 1982), 75-77. “Dan Kiley: Landscape Design II.” Process: Architecture 108. (Tokyo: Japan, Process Architecture Publishing Co., 1993), 104-105. Plan courtesy Jane Amidon from the Office of Dan Kiley. The landscape is pragmatic and doesn’t attempt to provide experience or individual identity beyond simply delivering the visitor. Formal efficiency and limited spatial expression bring the visitor directly into contact with expansive scales far more than the decorated landscape. Ward, a principal at Sasaki Associates, is a planner, designer, and photographer. His work has appeared in more than 200 books and magazines. His book American Designed Landscapes: A Photographic Interpretation received a 1998 American Society of Landscape Architects Honor Award in Communication. He is also photographer for Miller Garden: Icon of Modernism. 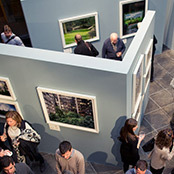 Ward was a Visiting Artist in Landscape Architecture at the American Academy in Rome in 2002 and 2006.